"It was learned last week that the Chobe Safari Lodge’s official opening is now only a short time away and will be conducted, according to impeccable sources, by none other than Uganda's President Museveni himself." E-turbo News. Chobe Safari Lodge, located at Karuma falls in Uganda was controversially shut down after it was destroyed by marauding units of the former dictatorships sent packing by Yoweri Kaguta Museveni's National Resistance Army, when he captured power 24 ½ years ago.The act of restoration to its former glory and the new bettered standards and facilities is expected to draw a clean slate. 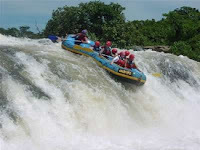 It is reported that some tourists are already experiencing what the lodge has to offer, with satisfactory raving comments coming from those who have already sampled the lodge.The good remarks do not come as a surprise considering the location of the lodge;over looking the River Nile which is a major attraction for White Water Rafters. 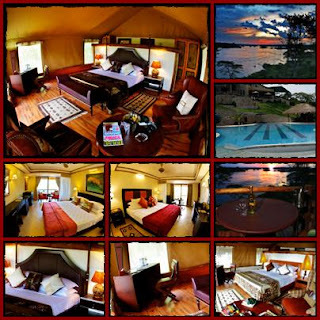 The accommodation and food has also geared great comments which in deed proves that as once was a hub for tourists, Chobe Safari Lodge is about to create a buzz in the Uganda tourism circuit. We at Lets Go Travel do advise and organize trips to Uganda.We have Rafting and Gorilla trekking safaris as some of the major attractions, not forgetting that you could go on a shopping spree admist on safari! Taking a business trip to Nairobi?